Company representatives will receive you on arrival at the international airport in Delhi late in the night or midnight. Transfer to your hotel. Relax. DELHI, the capital of kingdoms and empires is now a sprawling metropolis with a fascinating blend of the past and the present. It is a perfect introduction to the composite culture of an ancient land. A window to the kaleidoscope - that is India. Overnight will be at Delhi. Jodhpur by train 1745hrs / 0550hrs Start a full-day tour of Old and New Delhi after breakfast visiting the Raj Ghat - the memorial site where Mahatma Gandhi was cremated; Jama Masjid - the largest mosque in India and the Red Fort - once the most opulent fort and palace of the Moghul Empire. Enjoy the cycle rickshaw ride from Jama Masjid to Chandni Chowk. A sightseeing tour of New Delhi would include a visit to the Humayun’s Tomb, the Qutub Minar, a drive along the ceremonial avenue - Rajpath, past the imposing India Gate, Parliament House, the President’s Residence, and Lotus Temple and would end with a drive through the Diplomatic Enclave. 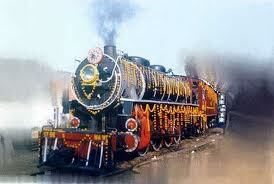 In time transfer to railway station to catch your overnight train to Jodhpur. Overnight will be on board train. 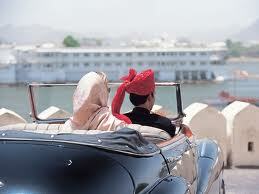 Early in the morning arrive Jodhpur railway station and drive to your hotel. Upon arrival check into your hotel and relax. Proceed for a sightseeing tour of Jodhpur - gateway to the desert beyond, home of the Rathore of Marwar; visit the Mehrangarh Fort, rising up a hilly scarp, built on the advice of a hermit, overlooking the city in the image of a long sentinel. Inside the Fort are a number of palaces added by successive rulers. In this palace you would see different miniature paintings & cradle room. After this you would visit Jaswant Thada Memorial. Visit the Amber fort in the morning; included is an elephant ride at the Amber fort. See the marvelous Shish Mahal built in the 17th century in a fusion style of Hindu and Islamic art. 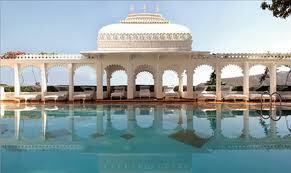 Also see the hall of public audiences and Maharaja Man Singh's Palace who had twelve queens. After lunch set off to see the Pink city visiting the observatory Jantar Mantar built in 1727 by Sawai Maharaja Jai Singh II who was a mathematician, an astronomer an astrologer and a great musician of his era. Then visit the City Palace of the Maharaja of Jaipur with a fabulous collection of robes and saris in cotton and silk with gold latticed work. The city palace houses a collection of paintings also in the painting gallery and of course a collection of arms and ammunitions in the ammunition gallery. .
After breakfast in your hotel proceeds to see the Agra Fort built by Akbar in 1567 where Shahjahan was imprisoned by his own son Aurangzeb. Don't forget Taj Mahal is awaiting your arrival today. A must see with the rising sun as the Taj Mahal is bathed in the golden rays of the morning sun. Little needs to be said about this architectural wonder which is always the sole raison d'être for every tourist visit to Agra. Built by Shah Jahan, the Taj is a white marble memorial that houses the tomb of his beautiful wife Mumtaz Mahal. This monument took 22 years to be completed and was designed, and planned by Persian architect Ustad Isa. Apart from its stunning design balance and perfect symmetry, the Taj is also noted particularly for its elegant domes, intricately carved screens and some of the best inlay work ever seen anywhere in the world Later visit the tomb of Itmad ud Daulah the finance minister of the Mughals and the father of Noor Jehan: Jehangir's wife. It is the first Mughal building built out completely of marble. In many contexts it is referred to being the predecessor of the Taj Mahal. Then precede towards Delhi via Sikandara the tomb of the great emperor Akbar. 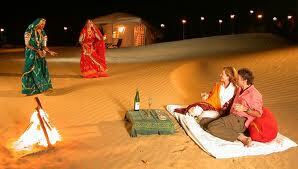 Upon arrival in Delhi you will be transferred to a local restaurant for your farewell dinner with your tour manager. After dinner you will be escorted to International airport to catch your flight back home with sweet memories of India forever. - Textile block printing factory visit in Jaipur. - Carpet manufacturing workshop visit in Jaipur. - Marble inlay factory visit in Agra.